Jeolikot, a popular serene hill station, located in Nainital district and acknowledged as one of the favorable tourist destinations of Uttarakhand. 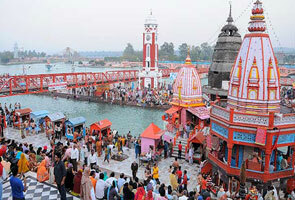 The place is situated on NH87 and also known as the Gateway to Naini Lake. The place is the finest destination for those folks who love butterfly catching and the cultivation of flowering plants. One of the reasons, why national as well as international tourists prefer to visit this place is its outstanding climate which is pleasant throughout the year. The place is only 17 kms away from Nainital but apt for family holidays or couple because here you can enjoy varieties of activities such as Bird-watching, nature walks and lots more. Apart from this you can visit several beautiful tourist destinations such as Naini Lake, Corbett National Park, Mukteshwar and Ramgarh; these are the main tourist attractions in Uttarakhand. You’ve definitely heard about great philosophers like Swami Vivekananda and Sri Aurobindo; they used to do meditation over here as Jeolikot is owner of very calm and healthy environment. 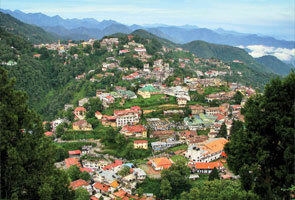 The place is situated at an elevation of 1,219 mts above sea level. The nearest railway station is Kathgodam railway station which is only 18kms away from this place and the nearest airport is Pant Nagar airport which is only 56 kms away from Jeolikot. 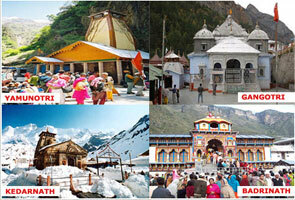 If you are really planning to visit such a wonderful hill station i.e. 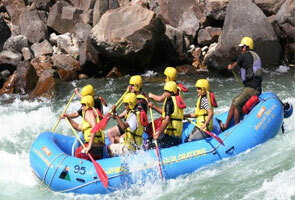 Jeolikot then the best time for you is in between March to October as this is the ideal time for outdoor activities. The temperature of this place during summer time is usually in between 12°C - 20°C, whereas during winter season, it is usually in between 5°C - 10°C. Along with that you can also visit this awesome place at the time of Monsoon i.e. in between July to September. Shopping @Jeolikot may leave a unique shopping experience for you. The place is assumed as the ideal for purchasing several items such as unadulterated honey, mushrooms, fresh kiwi fruit, strawberries and olives. So be ready to get ultimate shopping experience at Jeolikot. Simply exceptional! You can find several restaurants and fast food joints @ this place that are committed to offer you varieties of lip-smacking cuisines. If you are staying in hotels or resorts then you can find multi-cuisine restaurant associated with hotels or resorts. So discover the best memory at best place i.e. Jeolikot.